A Bauer College researcher is working with one of the leading authorities on the opioid epidemic in assessing the value of interventions designed to reduce the need for prescription pain medication. Partha Krishnamurthy, the college’s Larry J. Sachnowitz Professor of Marketing, is analyzing the results of a Stanford University study to determine the impact of pre-surgical psychoeducational interventions for patients. The study’s author, Beth Darnall is a clinical professor in the department of anesthesiology, perioperative and pain medicine at Stanford University and principal investigator for $13 million in national pain and opioid reduction research projects that include psychological treatment approaches. Darnall is the author of three books, including “Less Pain, Fewer Pills,“ and has led efforts to help patients taper off opioid medications. Most recently, she was asked to speak at a Congressional briefing concerning the Opioid Recovery Act of 2018. 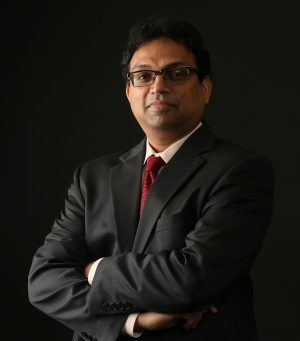 Krishnamurthy is director of the Institute for Health Care Marketing at Bauer. Much of his research has focused on applying marketing and decision-making principles in the health care field in order to improve patient outcomes. He is adjunct assistant professor at Baylor College of Medicine and the University of Texas Medical Branch. Krishnamurthy was named a visiting professor at Stanford after he was asked to analyze the results of Darnall’s study, “My Surgical Success.” Preliminary results have found that patients who watched videotapes with specific recommendations for reducing negative thought patterns prior to their surgery were able to stop prescription pain medications sooner than those who did not, Krishnamurthy said. “What we’re trying to find out is, is it possible to have a psychological behavioral intervention that amplifies or otherwise improves upon the health care experience?” Krishnamurthy said.